In our posts about Sears, we often observe that the company seems like an anti-capitalist prank, a retail giant that thrashes around aimlessly until the real estate market picks up. It turns out that we were kind of half right. Manifesto-writing Sears Holdings chairman Eddie Lampert has organized the company into battling units that compete with each other for a dwindling pile of money. You can read about this mess over at Bloomberg Businessweek, and we do recommend clicking over and reading the whole thing if you’ve visited a Sears or Kmart store recently and have wondered why it is so awful. Early in his tenure running Sears Holdings, Lampert brought in some consultants you’ve actually heard of: economics professor Steven Levitt of Freakonomics fame, and Paul DePodesta, the statistician whose work with the Oakland Athletics you may remember from the book and film Moneyball. Lampert doesn’t seem to like the retail business, retail jargon (like the words “vendor” or “consumer”) or, possibly, Chicago. He gets along better with people from the finance world and does his best not to leave his home in Florida. The company was reorganized in an initiative called Sears Holdings Organization, Actions, and Responsibilities, or SOAR, because SHOAR isn’t a word. The company was divided into more than thirty units, each with their own executives and board. Instead of soaring toward greatness, each unit acted only in its own self-interest without much regard for the profitability of the entire company. In theory, units acting selfishly was supposed to be a good thing. “Decentralized systems and structures work better than centralized ones because they produce better information over time,” Lampert explained to Businessweek. This structure is a good thing because it’s totally capitalist. “Clashes for resources are a product of competition and advocacy, things that were sorely lacking before and are lacking in socialist economies,” a Sears spokesman told Businessweek in an e-mail. Wait, so which other privately-owned retailers are socialist economies? In practice, it doesn’t work so well. In 2010, the executive at the head of Kmart and Sears stores had the wacky idea to cut prices on food and drug staples low enough to compete with Walmart and maybe draw some customers inside the stores. Everyone thought it was a great idea, but no other units wanted to sacrifice any of the needed $2 million from their own operating profits to actually fund it. The appliances unit has to pay royalties to the Kenmore unit for every appliance that they sell. Kenmore is another division of Sears Holdings, see. Stores could sell other companies’ products for more money, so they pushed Kenmore products aside and pushed other companies’ products more. Lampert had an employee social network built, joined under a pseudonym, and then logged on to argue with employees. Sears Holdings stores push the confusing Shop Your Way Rewards program heavily, but only 20% of the points customers earn ever get redeemed. One former executive noted what we at Consumerist have known for a long time. “Ultimately, your customer is going to make a decision about your brand based on the weakest link. 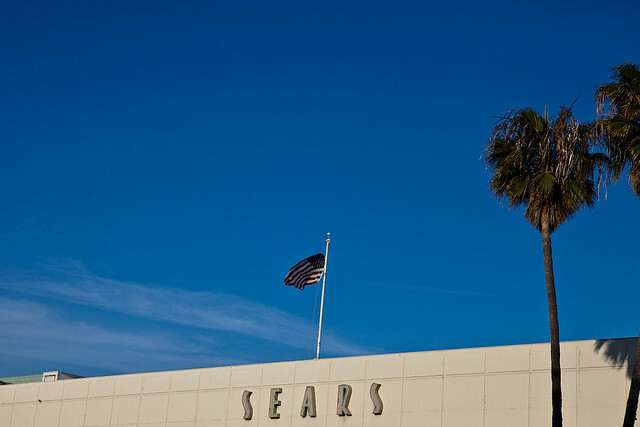 If you have a fabulous website and a crappy in-store experience—or vice versa—that’s going to impact your business.” One terrible experience has been enough for many of our readers to swear off Sears forever.